Sweet, juicy peaches may be the ultimate treat on a hot summer day, but these peach cobbler scones will keep you cozy when it’s cold and rainy too! Recipe serves 8. Be sure to follow us on Facebook for more recipes and ideas. 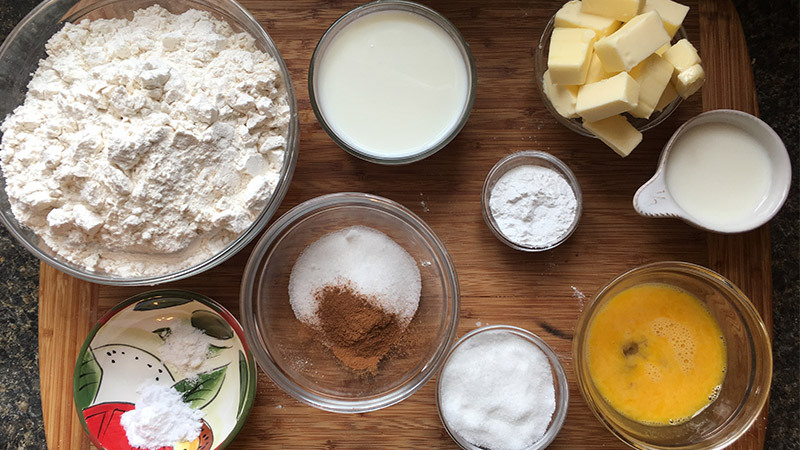 In a mixing bowl, sift together flour, sugar, baking powder, baking soda, and salt. Cut in shortening and butter until the mixture resembles coarse meal. Use your hands to break the fat cubes into the dry ingredients. Some of the fat bits will be the size of peas while others will be the size of oat flakes. In another bowl, combine egg, milk, and vanilla, and beat lightly with a fork. 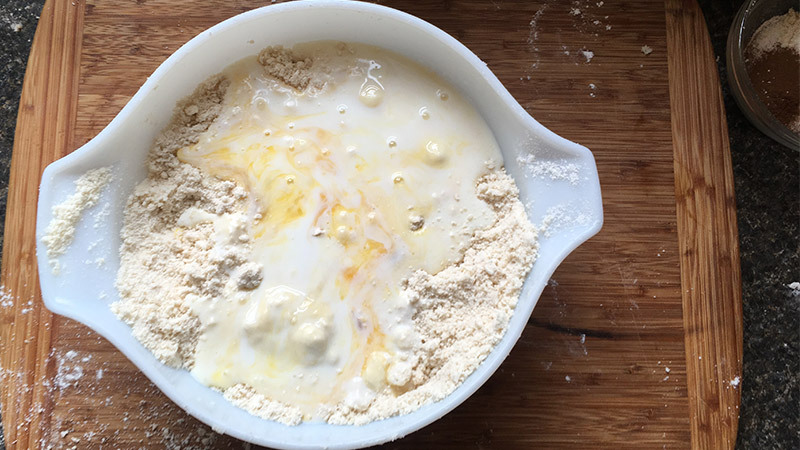 Add the liquid to the flour mixture all at once, stirring gently until it forms a soft dough. Turn the dough out onto a floured board and knead about 15 times. If the butter has warmed too much in the making of the dough, shape the batter into a dish, wrap in plastic wrap, and let rest in the fridge for 15 minutes. 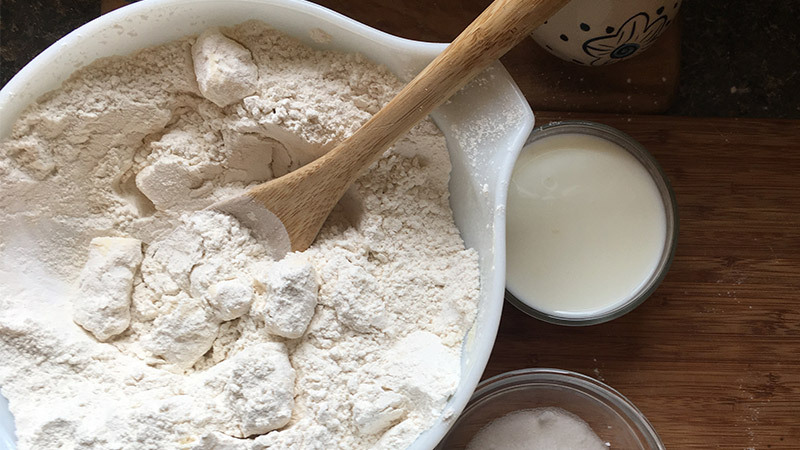 If the butter is still cool, shape the dough into a disk and, on a well-floured surface, roll dough to a little less than 1/2-inch thickness, slightly thinner than a biscuit dough that you would cut biscuits from. Brush half of the rolled-out dough with buttermilk. Arrange peach slices in a single layer across the buttermilk-moistened dough. Sprinkle with half of the cinnamon sugar mixture. 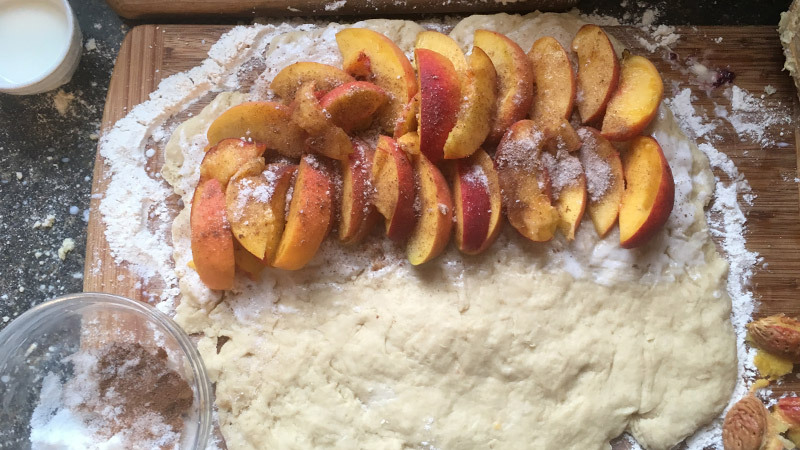 Carefully fold the empty side of dough over the peach sliced layer, pressing together gently. Add a bit of flour to your hands and press the edges of the dough in, creating more of a rectangle shape than a half circle shape. 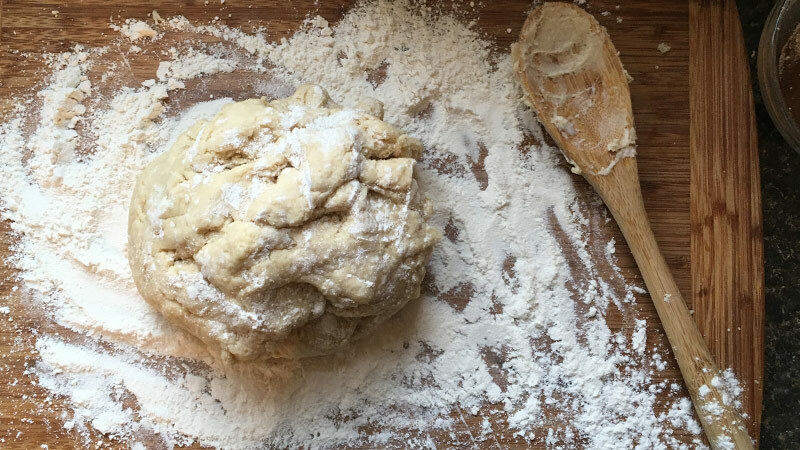 Using a floured knife, slice dough into eight even pieces, or bake it as one large scone! Place the scones on prepared baking sheets, leaving about 1 1/2-inches of room around each scone for spread while baking. If dough has warmed and feels mushy, place in the fridge for 20 minutes to re-chill. 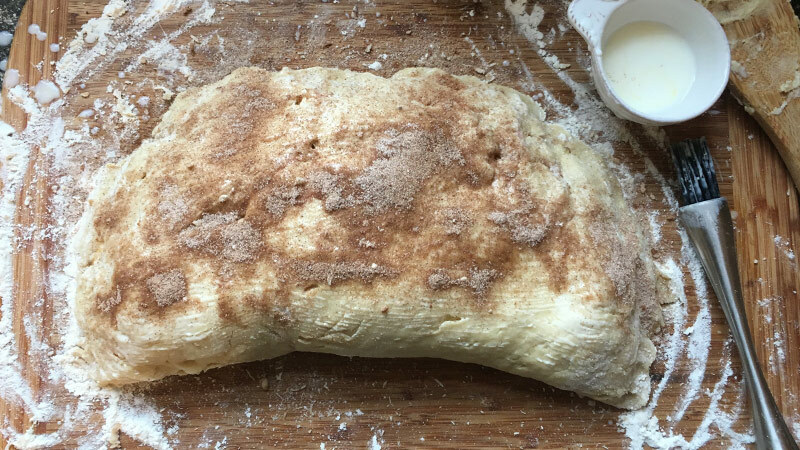 Before baking, brush each scone top with buttermilk and sprinkle with remaining cinnamon sugar. 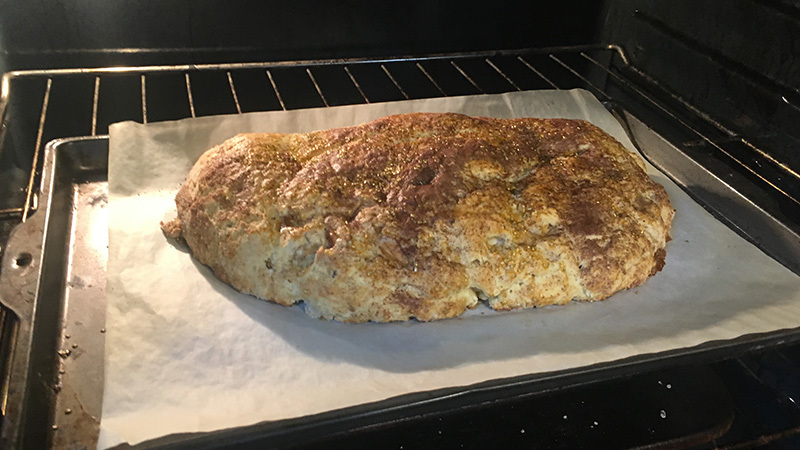 Bake scones for 15-18 minutes, until golden brown and cooked through. Remove from the oven and allow to cool for 15 minutes before serving. Scones are best served warm, on the day they are baked, with softened butter.